A collection of articles on energy management systems, case studies and news, mainly focusing on the industrial solutions (production industry, factories). 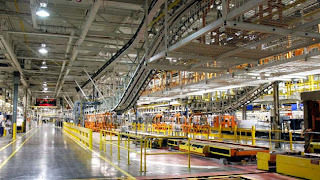 Serving the interests of smart factory, Indusrty4.0 and ISO50001. AVReporter is an energy management software, designed to help monitoring, analyzing your consumption data, forecast your resource useage, calculate cost allocation prices. All these features are accesible inside a single software-pack, that both consists of desktop and web-interface. AVReporter might be defined as energy management software, however it’s capabilites offer the users to measure not only electrical, but also gas, water, sewage, CO2 consumption and other outlets. 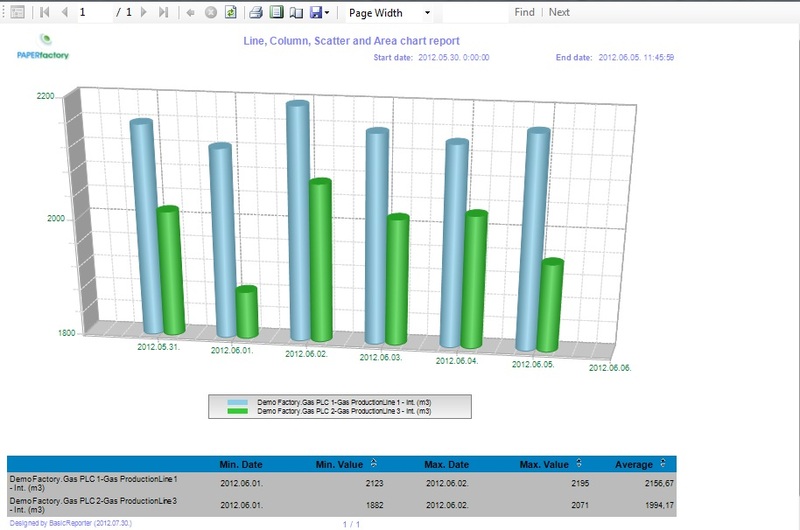 The powerful interface is even able to display different consumption types together, on a common graph. Let’s say the user wants to monitor, how increasing electric demands have affect on their CO2 emission. 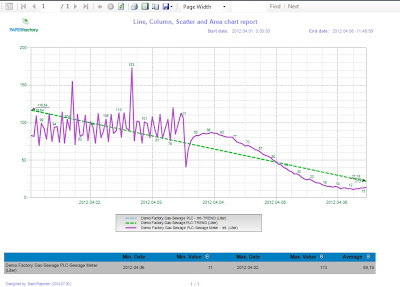 AVReporter simplifies this process just to a few clicks, where the user selects the desired quantities, and a few moments later the graphs are displayed. 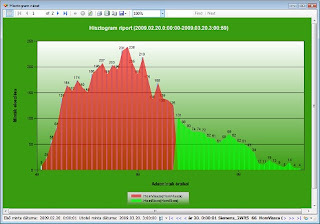 Daily summarized gas consumption values are shown in the next example, comparing 2 devices. 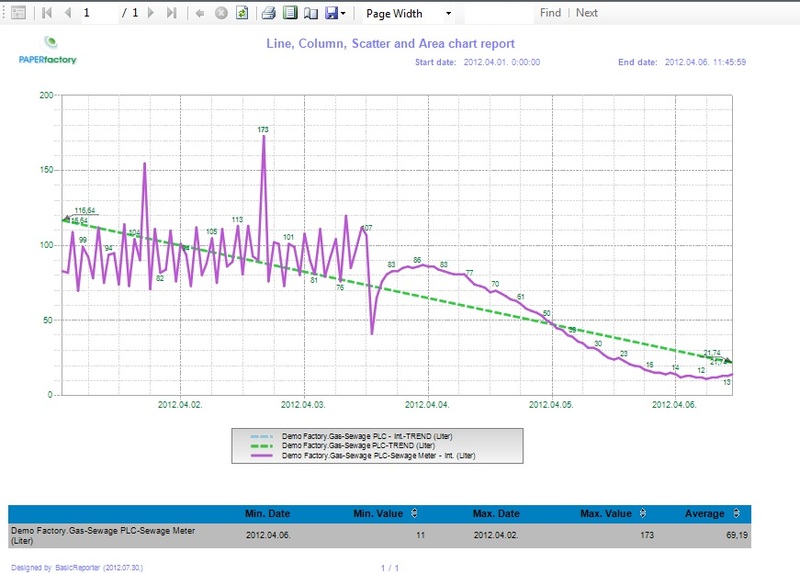 Conclusion: regardless of the consumption type, AVReporter is able to display large variability of data, and help engineers, managers and employees understand how their facilities work by analyzing the graphs, and use this knowledge to aid their future decisions. For more information about AVReporter, check out or website: http:konsys-international.com or follow us on twitter! The phrase of energy management has always been something mysterious in the industry sector: it’s surrounded by false thoughts, leading to severe misunderstandings. 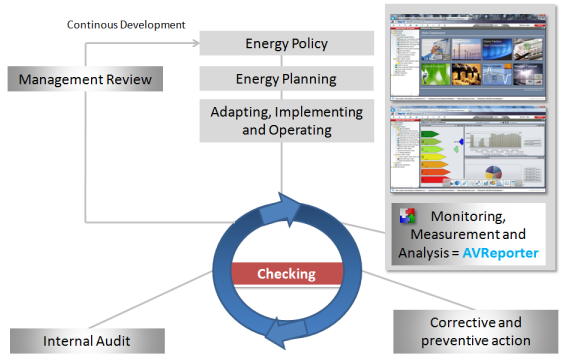 So what IS energy management? First, give it a twist and take a look at it from the customers’ side. One of the main goals for the directors/executives of the industrial zone has been for long time, is to improve profitability by reducing production costs. Partially this means, signing new contracts which allow purchasing resources at lower costs, but it also means to raise the efficiency level of the given resource consumptions. There have been numerous examples, where the factory invested into new measurement devices, motion sensors, light-switches, however energy savings were far under the expectations, resulting this investment to be non-cost-effective. Why did that happen, when the mentioned devices are all designed to help us save money? Can we call it energy-management process to upgrade the efficiency of resource usage? Well, they indeed committed efforts to cut down internal costs by improving efficiency, however before doing investments like those; you must first understand how the facilities work. Analysing consumption patterns, monitoring energy usage at different time of the day, forecasting expenditures are all fundamental aspects, and vital pre-requisite of energy management. It might sound frightening for the first read, but of course there are several automatized softwares, that will display this information on attractive user interface after a single mouse-click. 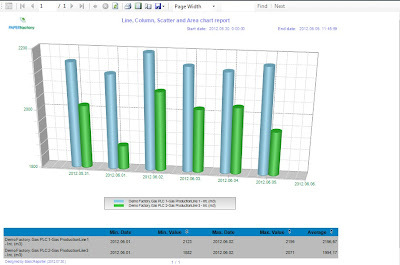 As an example, AVReporter offers and easy-to-use interface, where users selects the measurement device in a tree, which they wish to query, then chooses the type of diagram to display the consumption or performance data. First we need to understand, how our facilities work. Building and consumption monitoring is essential part of this step, helping us establishing the baseline. We have to make our plans according to above research: set up our goals and ways on how we wish to achieve them. Committing to the changes, improvements. This is the more technical part, where strategy-reorganization, or device improvement/changing processes happen. Evaluate the results, see if we were able to achieve the established goals. Find new areas to improve. Does it mean that once we finished our evaluation step, the energy management process can be terminated? Of course not! It’s an ever-lasting cycle, where we constantly look for cost effective improvements on our system. The monitoring and analyzing process never stops: there are always areas to improve. Also, if we consistently check our facilities, devices, we have the opportunity the notice malfunctions almost immediately, and prevent any cost surplus which it would create over time, or preventing life-harm effects of the maintenance persons, workers. Follow our blog, and check out our upcoming articles about energy management! KONsys. Simple theme. Powered by Blogger.